While batt insulation may not be the first thing on your mind when thinking about home improvement projects, there are numerous advantages to having a properly insulated home in Tuscaloosa, Alabama. Insulation offers better energy efficiency, which can reduce the workload of your HVAC system and lead to continued savings on your monthly energy bill. 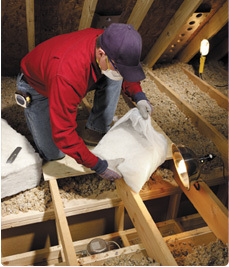 Additionally, batt insulation improves air quality by trapping allergens and particles in the air, preventing them from circulating throughout the house. And when your walls are fully insulated, you’ll even notice a reduction in the amount of noise that comes in from the outdoors. With all of these benefits and more, it’s no wonder countless homeowners in Tuscaloosa, AL, turn to 31-W Insulation to install top-of-the-line insulating materials in their homes. When you need batt insulation installed in your home in Tuscaloosa, AL, 31-W Insulation is the company that can get it done right for you. For more information, contact us today.